Dr. Emmanuel Lalande currently serves as the vice president for enrollment management at Benedict College in Columbia, South Carolina. He has over 13 years of experience in higher education administration. Over the course of his career, Dr. Emmanuel Lalande has established himself as a member of numerous groups and organizations, including the National Association of Student Personnel Administrators. The National Association of Student Personnel Administrators (NASPA) will host the 2019 NASPA Annual Conference between March 9 and 13 in Los Angeles, California. 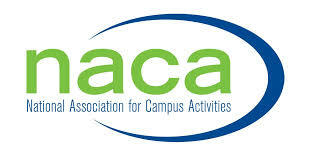 The conference will involve the NASPA Community College Institute (CCI), which seeks to enhance student success at two-year institutions holistically. Held over the course of one and a half days, NASPA will engage with and inspire the CCI leaders who represent the interests of more than 10 million students every year. Despite comprising nearly one half of the nation’s undergraduate population, less than 40 percent of community college students go on to achieve an undergraduate degree within six years. Similarly, only 29 percent of associate’s degree students complete their degree tracks within three years. CCI intends to respond to these facts and improve academic outcomes and career opportunities for students through three primary focuses: the strategic management of enrollment, a comprehensive analysis of student outcomes, and the reevaluation of financial wellness and emergency aid. Dr. Mike Flores, chancellor of the Alamo Colleges District, will lead CCI sessions at the 2019 NASPA Annual Conference.